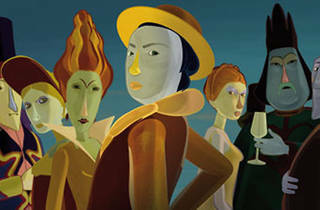 The Painting is one of three new French Animation films being screened at the Aero. Fun fact: in the last decade, three French animation films (The Triplets of Belleville, Persepolis and A Cat in Paris) were all nominated for Oscars. 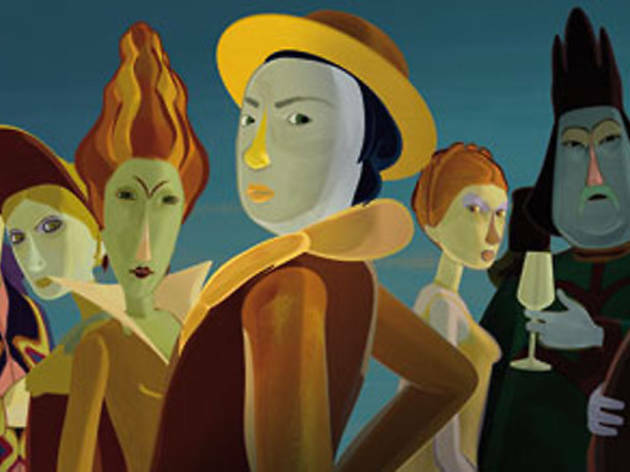 Fun activity: seeing three new French animation films this weekend at the Aero. On Saturday at 4pm see Zarafa, which tells the story of a boy and his giraffe on exotic adventures. On Sunday, Tivo the Homeland finale and opt for a double feature starting at 8pm with The Rabbi's Cat, about a pet cat giving advice to its rabbi owner, and The Painting, which touches on discrimination and artistic process.